All extinguishing agents that are being used at home and abroad currently, such as water, foam, dry chemical powder, carbon dioxide, alkyl halide, rely on their various characteristics of noninflammability, heat absorptivity, dilutability, heat and oxygen insulation property and cease of substance combustion chain reaction to achieve the purpose of fire extinguishment. In order to further improve the fire extinguishment effect, various characteristics of extinguishing agents, such as heat absoprtivity, burn resistance, film-forming property, diffusivity, reaction suppression property, are improved to realize the improvement of fire extinguishment result; however no substantial breakthrough is realized; therefore fire extinguishment may become out of control frequently. One of the mostly typical fire cases is Huangdao Island Oil Depot fire, in the long-time combustion process, the central combustion temperature was over 3,000℃, and the liquid-level combustion temperature was over 400℃ therefore most of fire extinguishing agents become invalid and unworkable for them. M1 plants active flame retardant agent is a product produced by extracting natural plants and forming water-soluble high-macromolecule polymer through the fermentation technology. 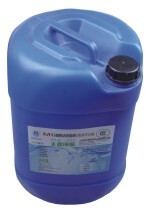 In the high-temperature circumstances, the product has good water-retaining property and Anti-sag resistance property. For operation, it firstly reduces the temperature of fire ground and changes flammability of substances, and then reduces after-combustion probability, reduces toxic gases and thick smoke caused by high-temperature expansion, reduces combustion area, relieve property loss and increase escape opportunity on fire ground. 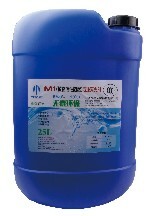 M1 plants active flame retardant agent, with the property of preventing flame and extinguishing fire, can degrade naturally by reacting with fungus in soil, so it won't leave heavy metal and is beneficial for growth of plants. Even it is diluted according to the given percentage and is drained to water, it won't cause pollution or residual heavy metals to river and water.